When Windows 10 detects any of your hard drive is low on disk space, it will show you a low disk space warning popup at the bottom right side of your desktop screen. It’s a taskbar balloon notification that would sometimes minimize your full-screen apps or games just to tell you about the low disk space warning. 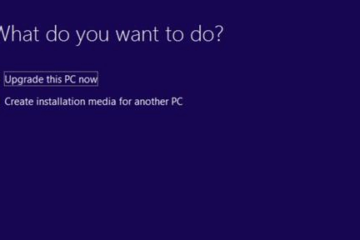 By default, Windows 10 will check your disk space every 10 minutes. When it detects low disk space on any hard drive, it will shoot you with a low disk space warning pop up notification. So, when the disk space remains low, it will show the warning every 10 minutes. It gets annoying when the warning pops up too frequently when you are already aware of it and don’t care about the drive being low on disk space. 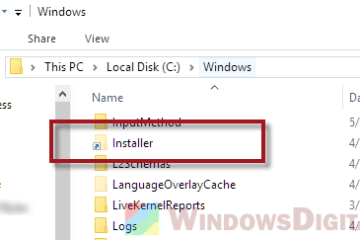 So, here’s a tutorial on how to disable or turn off low disk space warning in Windows 10. The most recommended solution is to, of course, clean up some disk space on the stuffed hard drive, and the low disk space warning would then stop popping up. 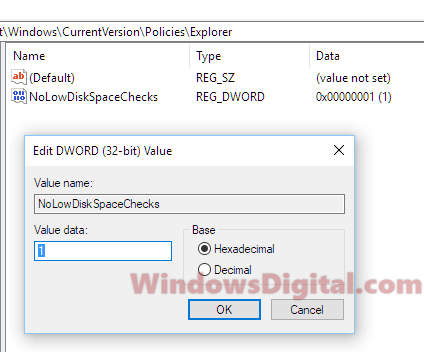 If you prefer otherwise, here’s a quick workaround to disable low disk space warning in Windows 10 via registry editor. Since we are going to edit the registry settings, we highly recommend you to backup the entire registry before editing. We will show you how along with with the guide below. 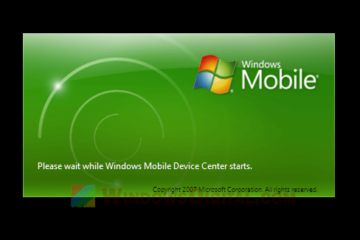 Go to start menu or Windows search. Search for regedit and open it. To backup the registry, in the registry editor, click on File from the menu. Then, select Export. Under export range at the bottom, select All. Browse to a folder of your choice, name your backup.reg, then click Save. 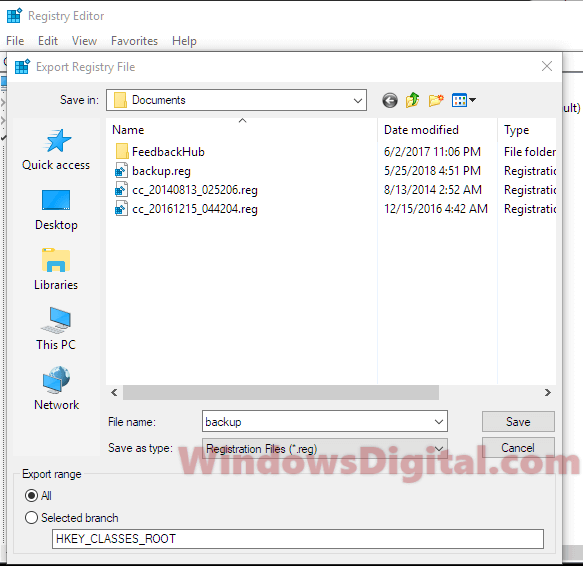 To turn off low disk space warning in Windows 10, in the registry editor, navigate to the following folder. From the right pane, double-click on the NoLowDiskSpaceChecks DWORD entry. Enter 1 in the value data field. If the DWORD doesn’t exist in the folder, create it by right-clicking anywhere in the right pane. 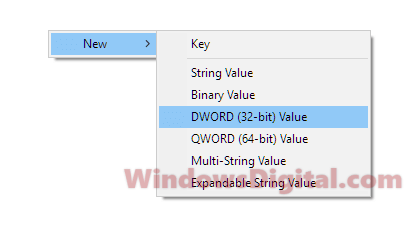 Select New, then DWORD (32-bit) Value. Name it NoLowDiskSpaceChecks and enter 1 for value data. Click OK. It should disable low disk space warning in Windows 10. 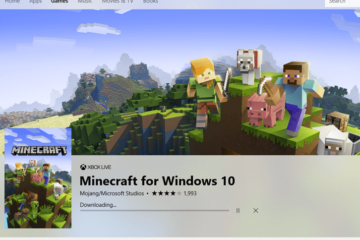 Close the registry editor and restart your PC. When the registry value is set to 1, Windows will stop check the disk and, therefore, wouldn’t send you any warning when your drive is low on disk space. However, it will still warn you when you are pasting a large file over and there is insufficient disk space for the file. Turn off low disk space warning for a specific drive? 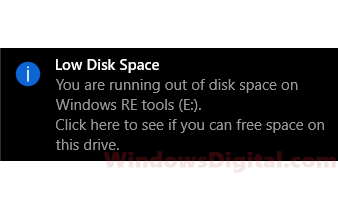 There is currently no way to turn off low disk space warning for a specific drive in Windows 10. When the registry value mentioned above is set to 1, it will stop disk space check for all drives, including external drives such as your USB flash drive. If you prefer to clean up your disk instead, you may want to read: Windows needs more space for Widows 10, or use CCleaner to clear up junks from your computer. 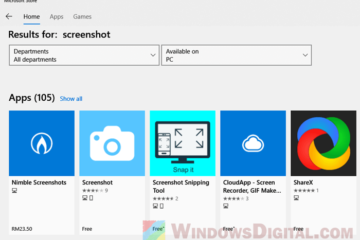 Description for sharing: A guide on how to disable or turn off low disk space warning in Windows 10 when the pop up warning is showing up too frequently. Can you turn off low disk space warning for a specific drive?